I’m just teasing with my post title. 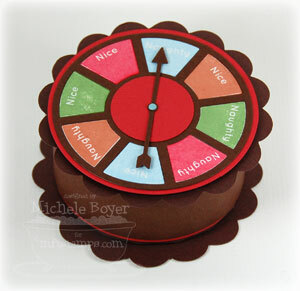 I have a couple things to share today but they are in no way related other than the fact that they both use My Favorite Things’ Die-namics Game Night Spinner and Stamp Set duo and new You Spin Me Additions. I LOVE this die with the coordinating sets! So much fun! 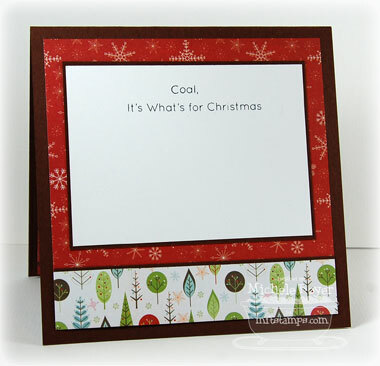 Chalk inks are the best choice for stamping solid images with acrylic stamps. But I don’t have very many so stamping the inside pieces of the wheel was a bit of a challenge for me. After some trial and error, I was able to get a decent impression using my Mementos. But now I’m on a mission to find more chalks. I found a great new website the other day that lists cost comparison of ink types among different suppliers. InkPads.net is a great resource. On their left sidebar, you can choose the different brands to see a list of various suppliers and prices. I didn’t purchase any yet, but I found distress inks for a great price at a camera store of all places. Who would have thought? So check it out! Since the spinner landed on “naughty,” the recipient of this card is getting coal (as stated on the inside of my card). I decided to make another spinner card for my son’s birthday. I like how this turned out but I didn’t realize until now that I placed two party hats side by side. GASP! (lol) I should not have done that. But my son didn’t notice (and wouldn’t care) so it’s fine. On the inside I stamped a couple more sentiments while leaving plenty of room for all of us to sign. I’ll be back tomorrow with MFT’s Greatest Hits. Thanks so much for stopping by! Have a great day! You’ve Been Naughty Set — Stamps: MFT “You Spin Me Additions” Ink: Memento Tuxedo Black, Summer Sky, Lady Bug, Potter’s Clay, Bamboo Leaves Paper: Papertrey Ink Dark Chocolate, Vintage Cream, Imaginisce Cottage Christmas Collection (6×6 paper pad) Accessories: MFT Game Day Spinner and Small Scallop Die-namics dies, Michaels mini brad, Spare Parts by Paper Studio Jingle Bell brads, Spellbinders Nestabilities, dimensional boosters, MFT Full Circle Treat box template, red-line sticky tape (on box). Finished card size 5 1/4″ x 5 1/4″. 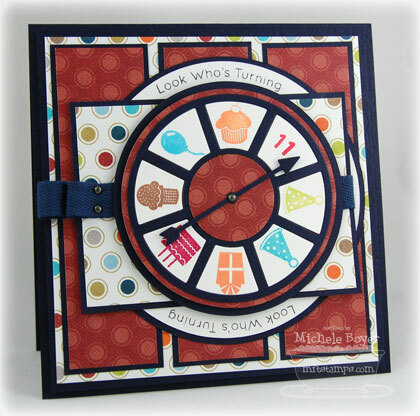 Look Who’s Turning 11 Card — Stamps: MFT Game Day Due and You Spin Me Additions Ink: Memento Tuxedo Black, Colorbox Chalks Paper: Papertrey Ink white, SU Night of Navy, My Mind’s Eye Lil Robots “Blinking Buttons” and “Sock ’em Stars” Accessories: MFT Game Day Spinner Die-namics, Creative Memories circle cutter, Michael’s mini brads, navy twill, dimensional boosters. Finished card size 5 1/4″ x 5 1/4″. Super super CUTE and so creative! 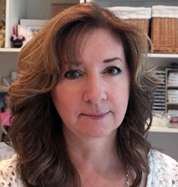 Cute Michele! Love how you used the die on the treat box. You are such a super star, girl! 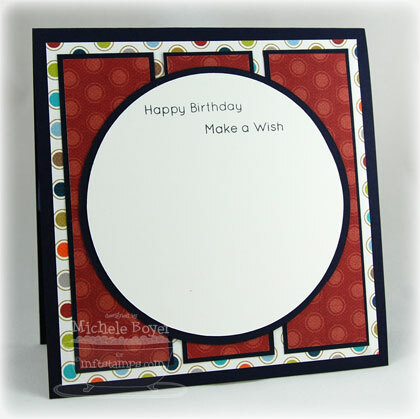 Sold…these stamps and die are on my next MFT purchase! I love, love, love these cards, and that box is perfect! Oh these are both adorable! I love how you can customize the spinner! Jingle bell brads?! Oh I must have these! I don’t have a Hobby Lobby! Better get googling! Fantastic!!! LOVE what you did with this set! !